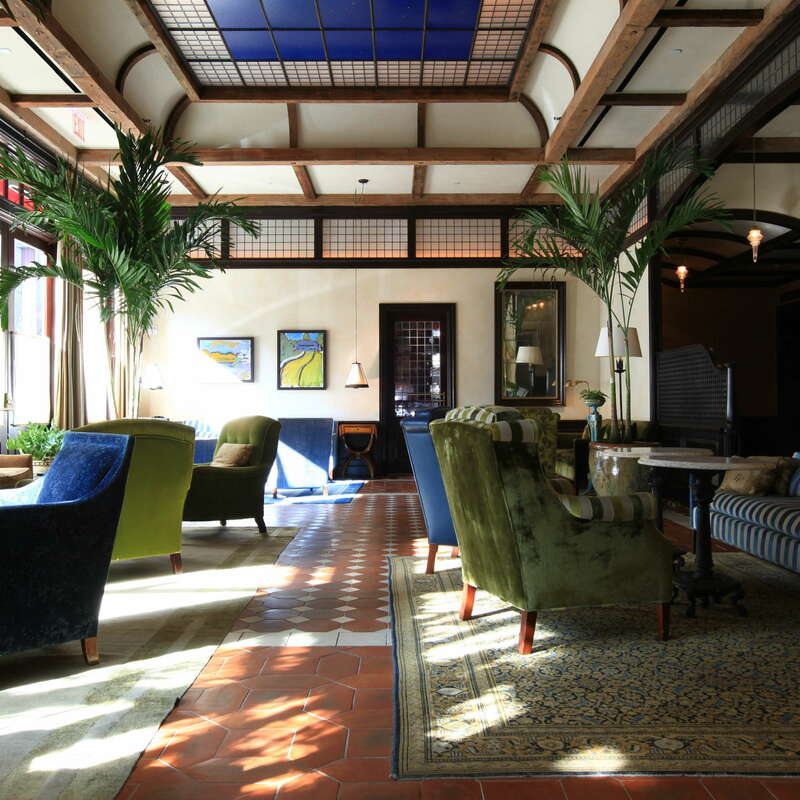 This understated, inviting hotel manages to fly under the radar even though Robert De Niro is an owner. The drawing room (reserved for guests only) is a stylish space with a wood-burning fireplace. The Italian breakfast of pastries and coffee from Locanda Verde is divine. 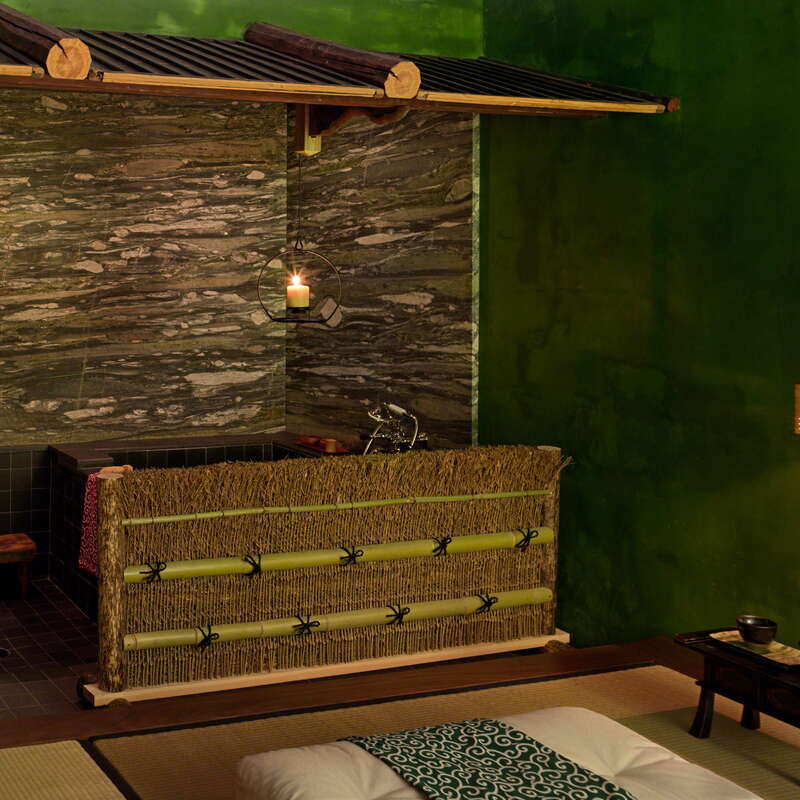 The spa is done in a traditional Japanese style, as is the hotel pool. This place is a real treat. 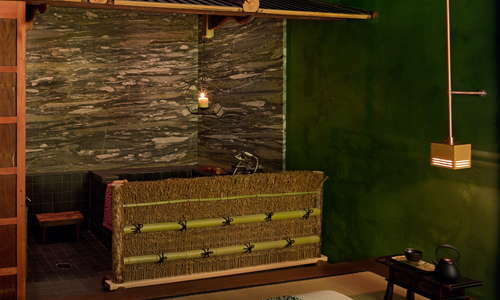 No two rooms in this boutique hotel are alike. The style is a blend of Moroccan, French, and Japanese influences, with rugs covering reclaimed-oak floors. Some rooms have balconies and all have big beds with pristine linens. Really, you can't go wrong. Suites here are worthy of splurging—they offer a glimpse into the residential loft life of Tribeca. With wood-burning fireplaces, kitchens, saunas, and steam rooms, these suites sure are special--and supremely expensive, because, well, they're suites. Big and luxurious bathrooms have soothing marble or bold tile work. 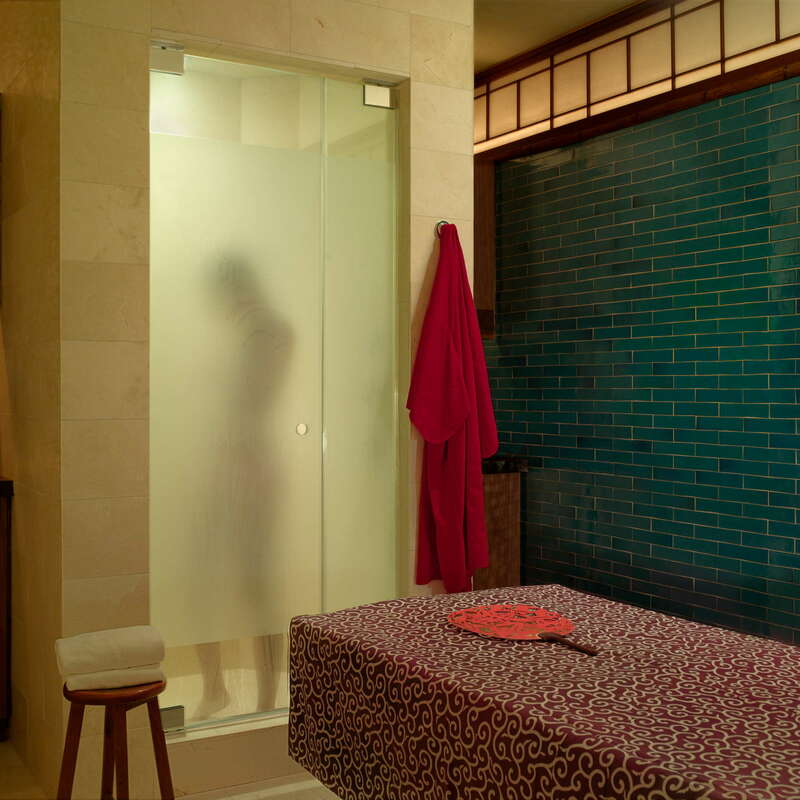 All have walk-in rain showers, and some rooms also have separate soaking tubs. A discreet entrance leads to a comfortable lobby that encourages lounging (and people-watching) with plenty of reading materials. Beyond the lobby, the guests-only drawing room with fireplace is a peaceful place to relax without the distraction of guests checking in and out. 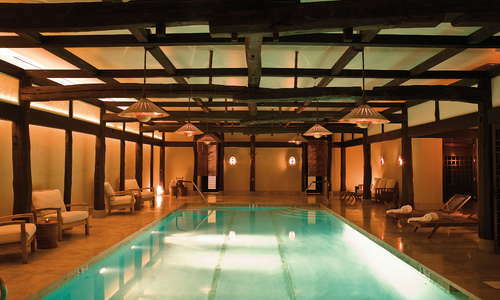 The lantern-lit pool is a quiet hideaway within the hotel. 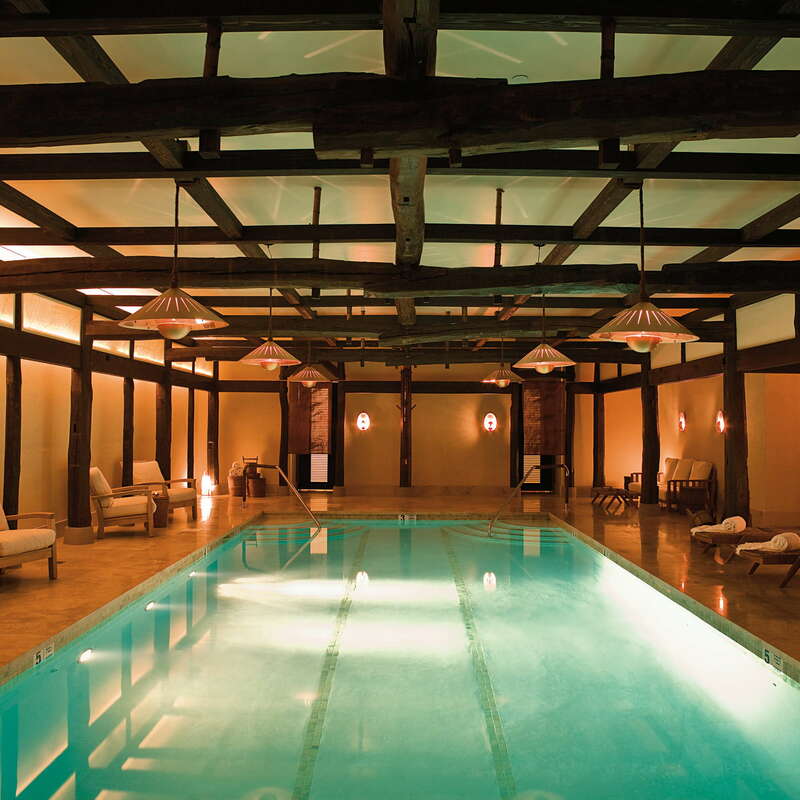 There are a few chairs for lounging and the pool is large enough for swimming a few laps. YOU SHOULD KNOW Kids are welcome in the pool on weekdays, but the pool is reserved for adults only on Saturday and Sunday from 10am to 10pm. Locanda Verde, Andrew Carmellini’s popular neighborhood restaurant, is located on the ground floor and serves rustic Italian fare--the pasta dishes are particularly good. Locanda Verde also provides room service, so get on that. 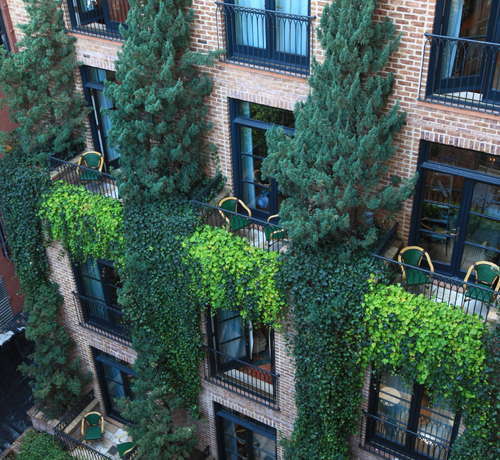 Located on a quiet corner in Tribeca, this hotel is a quick walk from the best of the neighborhood’s dining, drinking, and shopping. 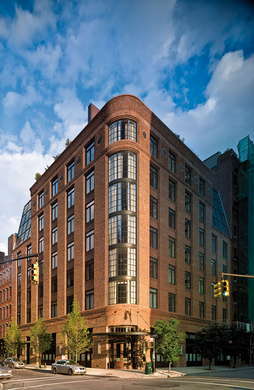 Landmarks in the Financial District and shopping in SoHo are also within easy walking distance. Subway access includes the 1 train at Canal Street and the A, C, and E trains at Canal Street. Taxis and Uber are widely available in the area. Comfort food is served in a bright space at Bubby’s (2-minute walk), a casual restaurant known for stacks of pancakes and dry rub ribs (these are the source of the wonderful barbecue aromas always filling North Moore Street). The Odeon (6-minute walk) was the neighborhood’s first “it” bistro and continues to attract a stylish mix of locals and visitors with its steak tartare and moules frites. The best hidden bite in Tribeca is found in an office building on Church Street. Tucked inside the atrium of an unremarkable building is Arcade Bakery (8-minute walk), a counter responsible for one of Manhattan’s most heavenly croissants (we’re partial to the ham and cheese croissant). Terroir (2-minute walk) is a neighborhood wine bar that is pleasantly (and surprisingly) free of any snobbery. Wines by the glass are available in a 3-ounce taste so you can sample a wide variety of what’s on offer. For creative cocktails in a super slick space, check out Weather Up (6-minute walk). Individual character, an understated approach to luxury, and exceptional service set this hotel apart from other five-star properties. 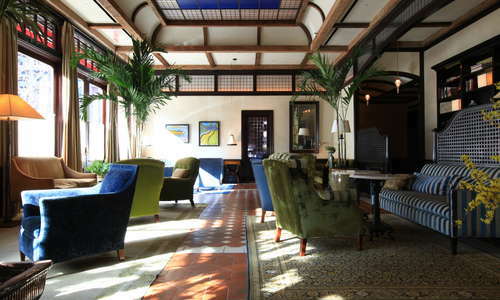 We love the guests-only drawing room with its wood-burning fireplace and the option of room service from Locanda Verde. The cherry on top of an already stellar hotel is the pool (with lanterns), particularly on weekends during adults-only hours.